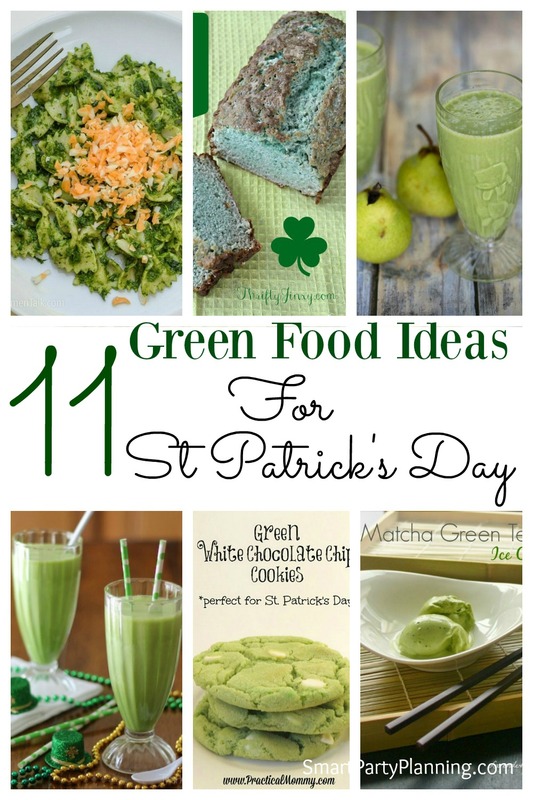 With St Patrick’s Day approaching fast, it’s a great time to start to think about green food that you might prepare for the day. I agree that whilst green food doesn’t necessarily look appetizing, it’s surprising how delicious it can actually be. 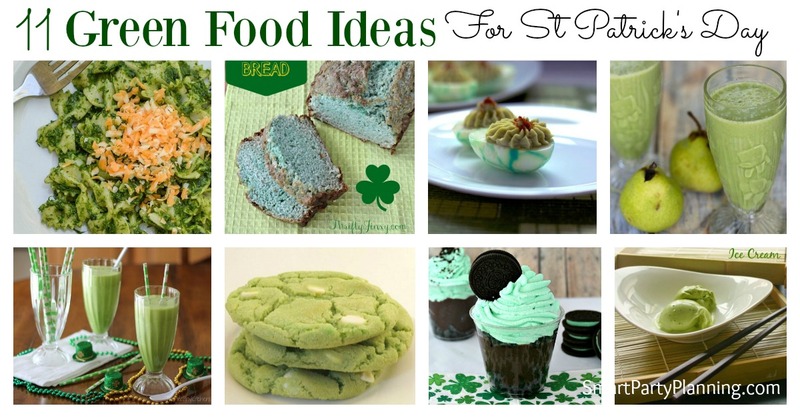 So if you would like to go all out this year at St Patrick’s and have green food all day, I have a great selection for you. 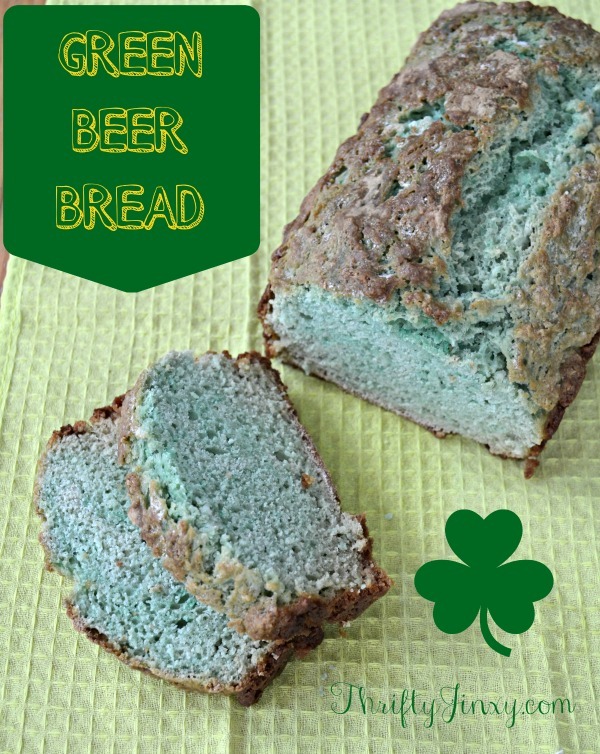 I love how fun this this green beer bread by Thrifty Jinxy is. It’s great for eating on it’s own or for having with your favorite spread, but I certainly think it would be something different to try for St Patrick’s day. Need a green dip to go with that green bread? Not a problem! 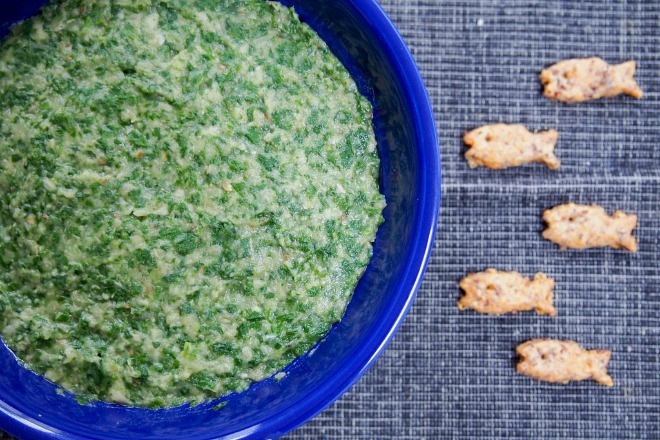 Caroline’s Cooking has a wonderful eggplant, spinach and white bean dip for you to try. 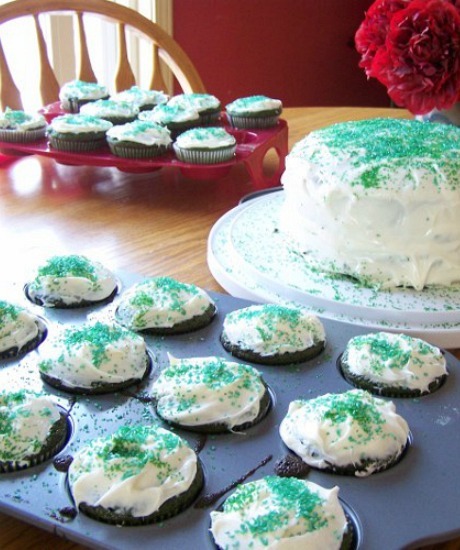 It’s quick and easy to prepare so can easily be whipped up for your St Patrick’s celebrations. If you would like a little appetizer to grab people’s attention, then how about the green devil! 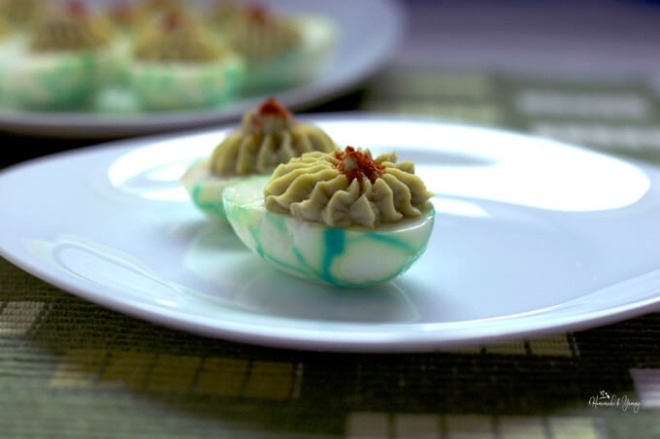 Yes, that’s right, these little deviled eggs made with creamy avocado by Homemade & Yummy are a great way to start of your celebrations. They are so flavorsome and fun, and definitely fit into the green food category! Everyone loves a good pasta dish, especially when it is quick and easy to whip up. 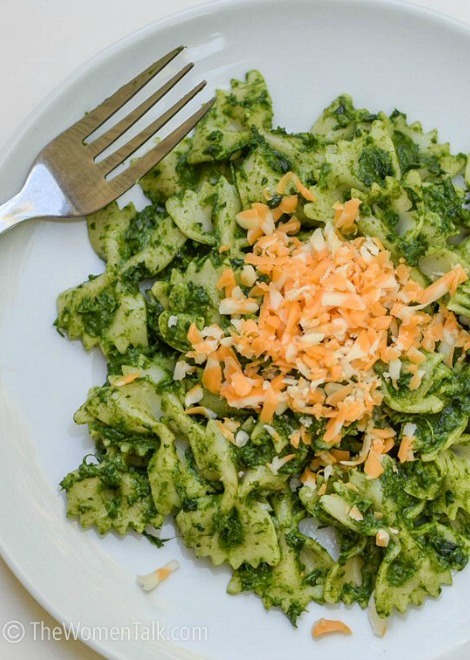 So for a quick and easy green food idea for St Patrick’s day, a spinach and cheese pasta recipe might be just what you are after. This delicious recipe by The Women Talk is going to be one that the whole family digs into. Does a green pizza grab your attention? 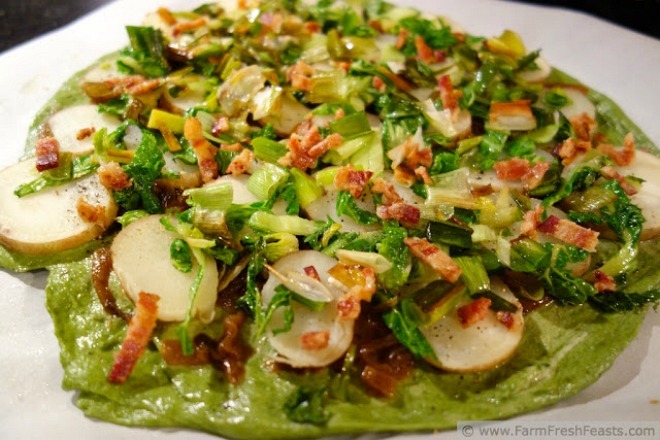 If you like the sound of it, you will love this awesome recipe at Farm Fresh Feasts. If you are going to go green for the day, what better way than to tuck into a yummy pizza! It might get a little messy when eating it, but that just makes it even more fun right? Looking for a great green way to end your meal? 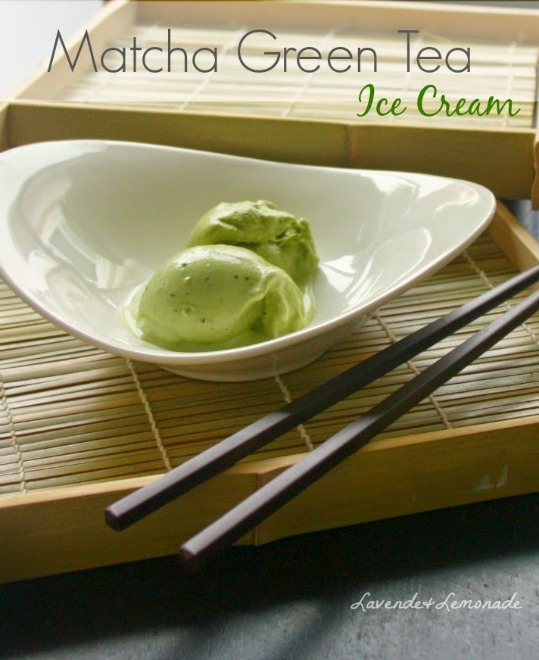 How about a delicious matcha green tea ice cream by Lavende and Lemonade. The green tea is going to make this a wonderful way to end a heavy meal, plus fill you with some awesome antioxidants at the same time. It could almost be the perfect green dessert! 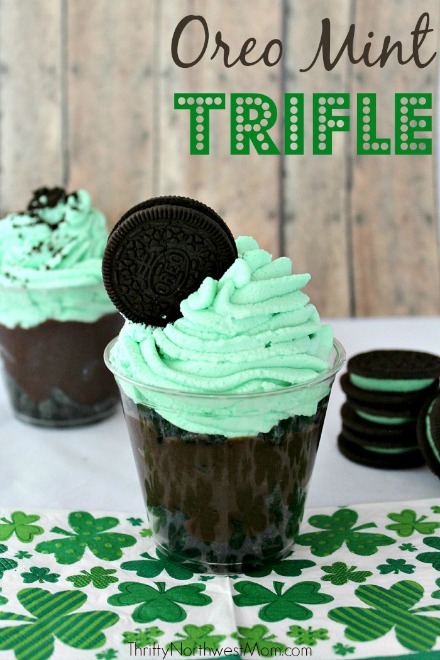 A trifle is always a great dessert and this Oreo mint trifle by Thrifty NW Mom looks totally delicious. Chocolate and mint is always an absolute winner, and this looks super cute for St Patrick’s day too. You can’t go wrong really can you! Perhaps just looking for some afternoon or morning tea green food ideas? Could a green velvet cake tempt you? This delicious recipe by Housewives of Frederick Country will have all eyes smiling – not just the Irish! 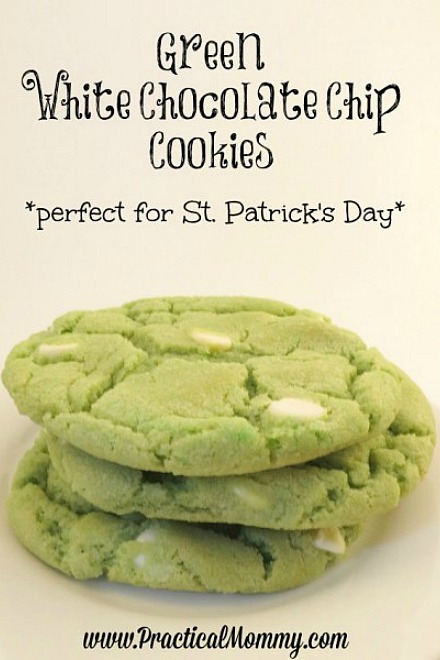 Also perfect for a mid morning or afternoon snack on St Patrick’s day are these green and white chocolate chip cookies by Practical Mommy. These cookies don’t even use food coloring, so that’s an added bonus! If you love your Shamrock shake, but are looking for a healthier option, then you have to check out this recipe at Two Healthy Kitchens. With some totally nutritious spinach, this really is a Shamrock shake with a difference. So go and grab your blender and make this delicious shake! Not convinced by the Shamrock shake? Maybe a ginger pear smoothie is more your thing! Sidewalk Shoes has a wonderful recipe for you to try with freshness of ginger, pear and spinach. How do you normally celebrate St Patrick’s? Do you like to serve up green food? What’s normally your ‘go to’ recipe?